RHS Chelsea Flower Show 2012. 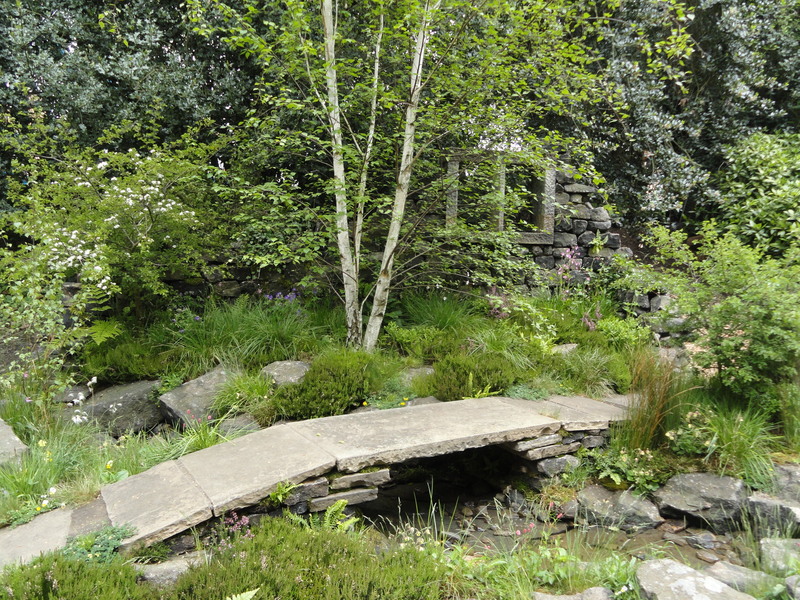 Designer Tracy Foster took inspiration from the unique Yorkshire landscape that also inspired the Brontës to create a beautiful and atmospheric garden. It conveyed a captivating tension between beauty and bleakness and the emotional essence of the place that inspired the girls to write such wonderful works of literature. 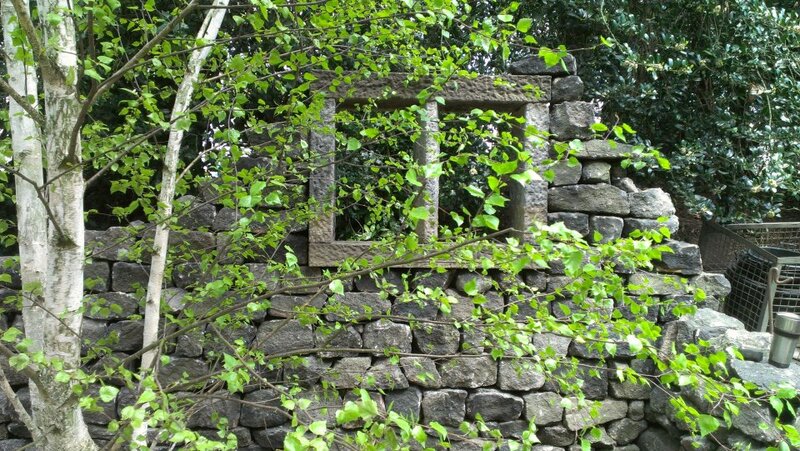 The garden's main features were the 'Bronte bridge', a clapper stone crossing of the beck and the backdrop dry stone wall and building with a brooding mullion window. It was while researching the Top Withens, the inspiration for Wuthering Heights that I noticed the remains of mullion windows emerging from the ground. I was very grateful to have the window included in the design. 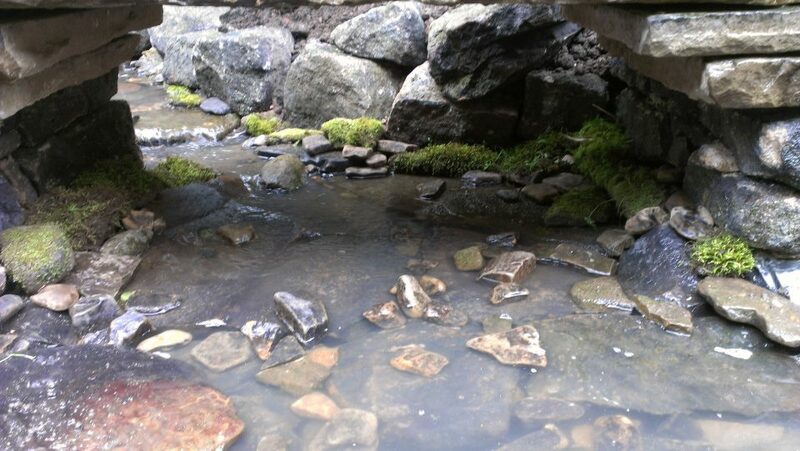 We provided the walling stone, boulders and stone for the bridge and beck. 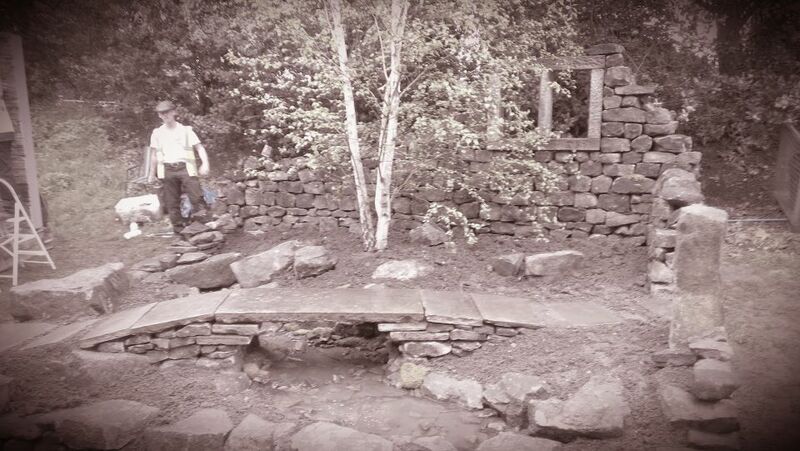 We really enjoyed our part in building the stone work. This garden gained a Gold Medal.